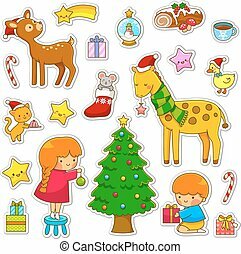 Decorating kids. 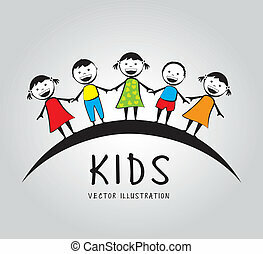 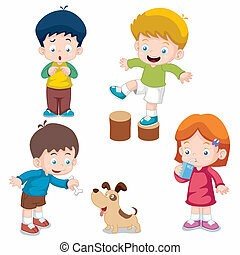 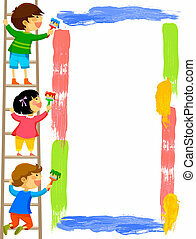 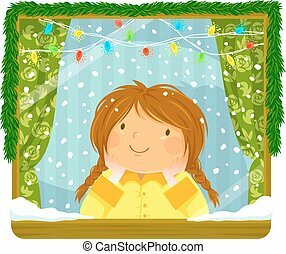 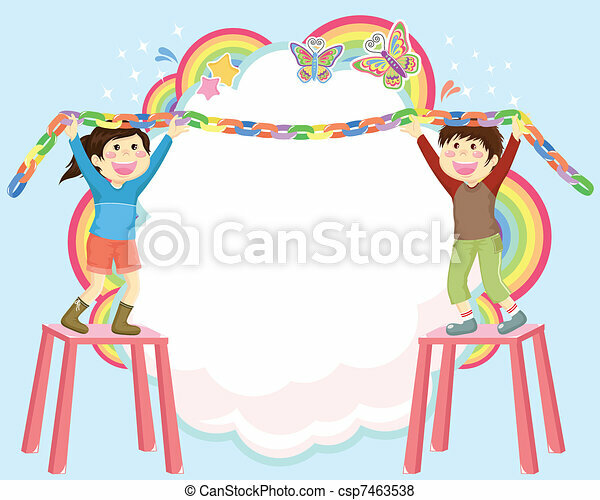 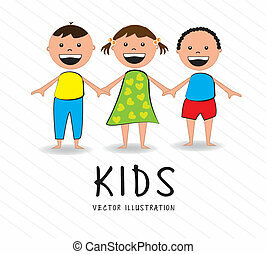 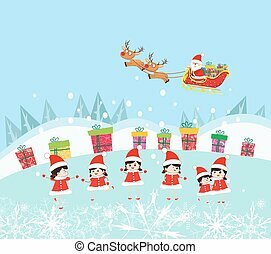 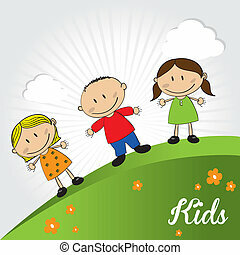 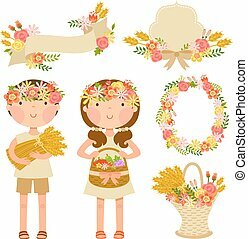 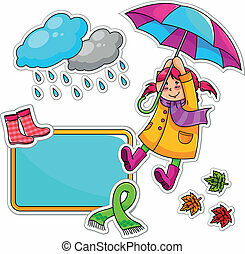 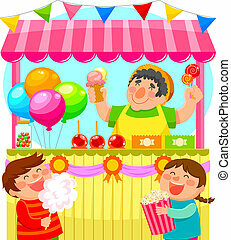 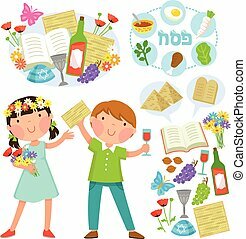 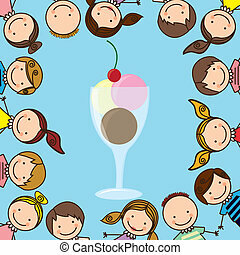 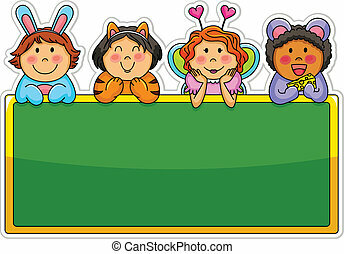 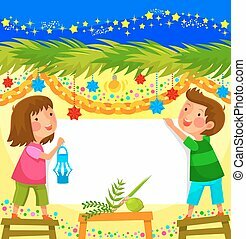 Kids hanging decorations on abstract background. 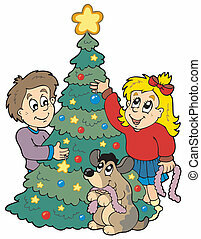 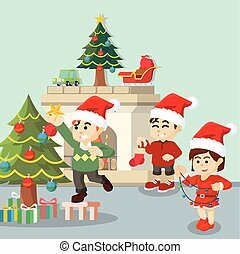 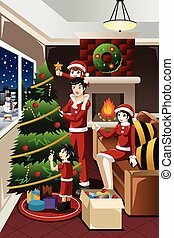 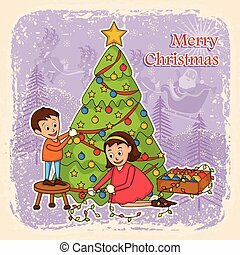 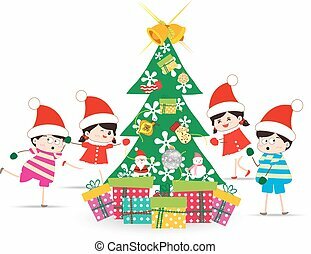 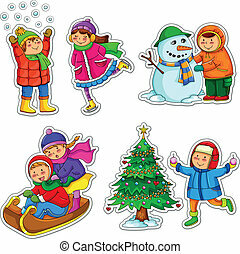 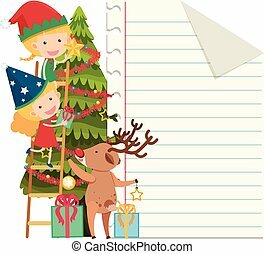 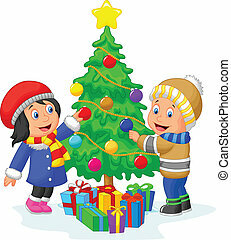 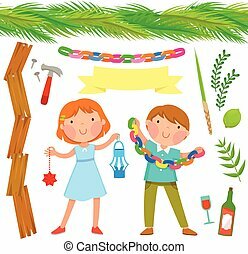 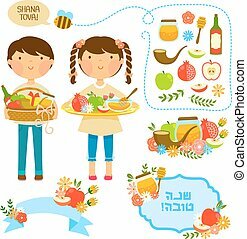 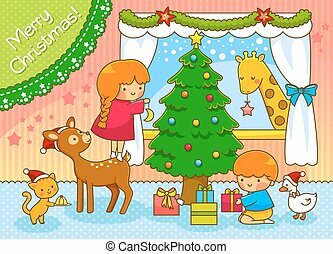 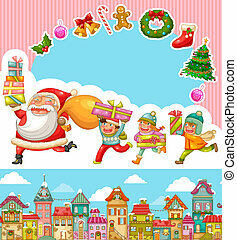 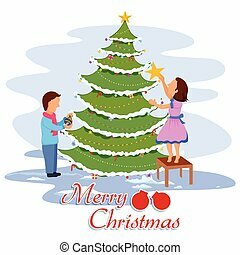 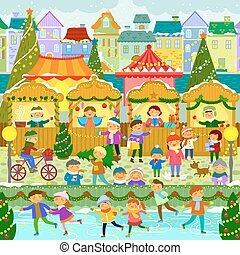 Two kids decorating Christmas tree - vector illustration.